We wouldn’t normally consider the Hyundai Santa Fe as Flat-Out fare. 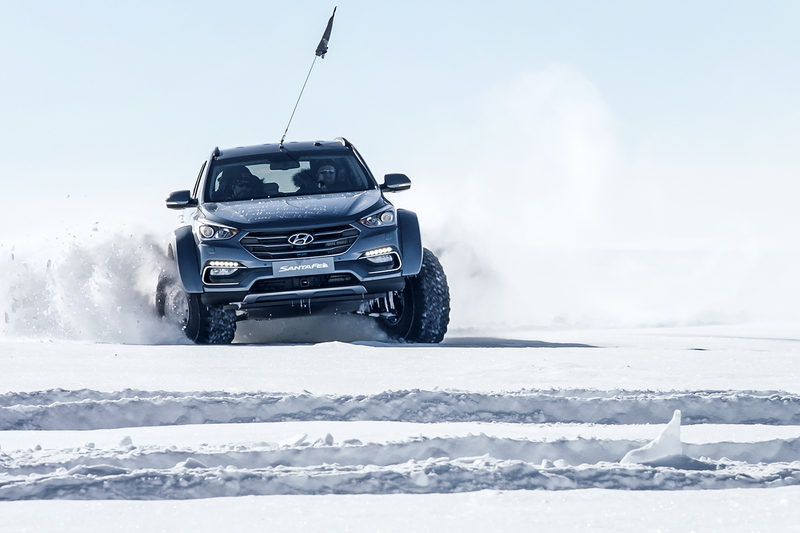 However, when a near-standard version is driven across Antarctica and the driver just happens to be the great grandson of famed explorer Sir Ernest Shackleton, our attention is undoubtedly focussed on the Korean SUV. 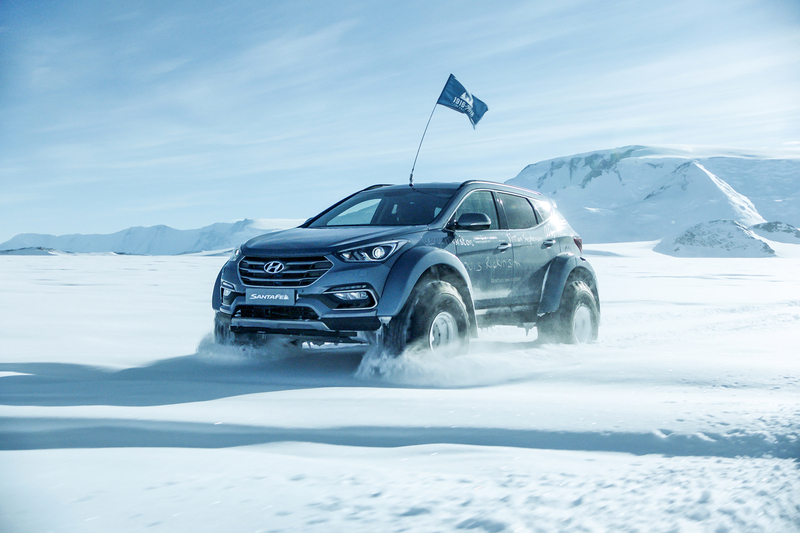 To coincide with the 100th anniversary of Shackleton’s heroic (albeit unsuccessful) attempt to traverse the Antarctic by land, Hyundai decided to put the latest Santa Fe to the ultimate test in a 30-day expedition on the planet’s coldest and driest continent. 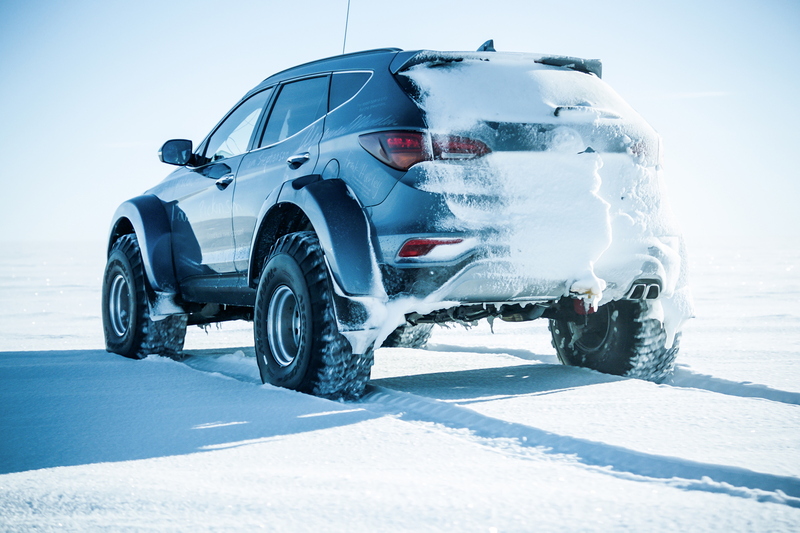 Crossing from Union Camp to McMurdo and back again, the SUV – modified to cope with one of the harshest environments on earth by Arctic Trucks – became the first passenger car to traverse Antarctic. It kind of puts our road trips to shame, doesn’t it? 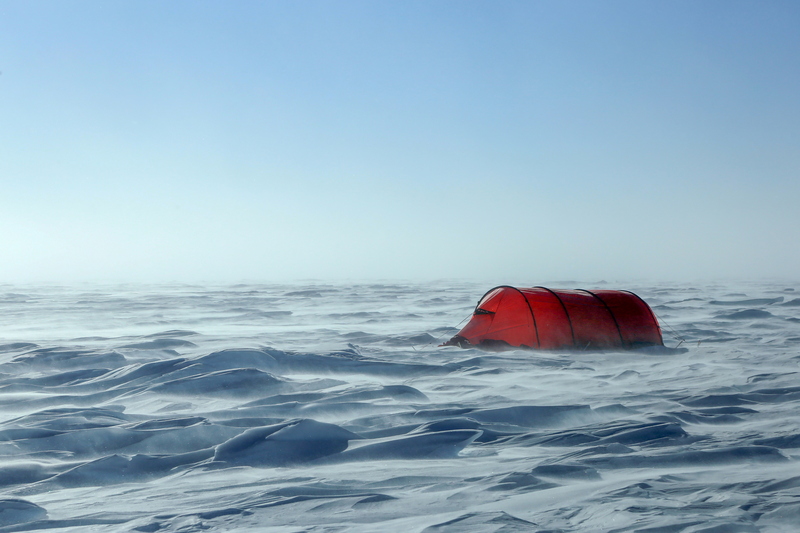 “I’m not a Polar explorer; I’m an indoor guy,” explains Bergel. “I start companies in the digital space. That’s my thing. So, it was a big cultural shift.” What’s more, Bergel’s first chance to drive the Hyundai Santa Fe only came one he had landed in Antarctica. Thankfully, Bergel and the Santa Fe were in good hands. 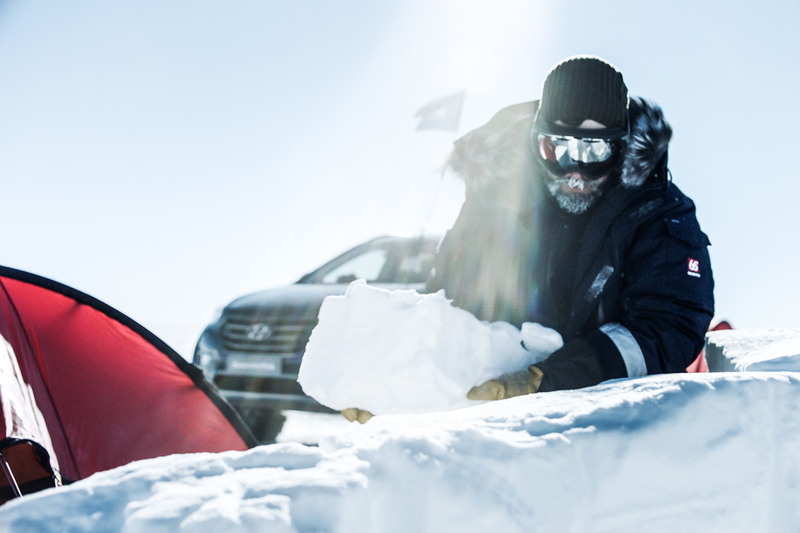 Arctic Trucks, led by Gisli Jónsson, have been converting SUVs for Arctic and Antarctic adventures for nearly 30 years and were entrusted by Hyundai to prepare the car and manage the trip. While there are established routes to the South Pole and the base station at McMurdo, no passenger car had ever done anything like this before too. Even for those with experience of the continent, this was a voyage into the unknown. 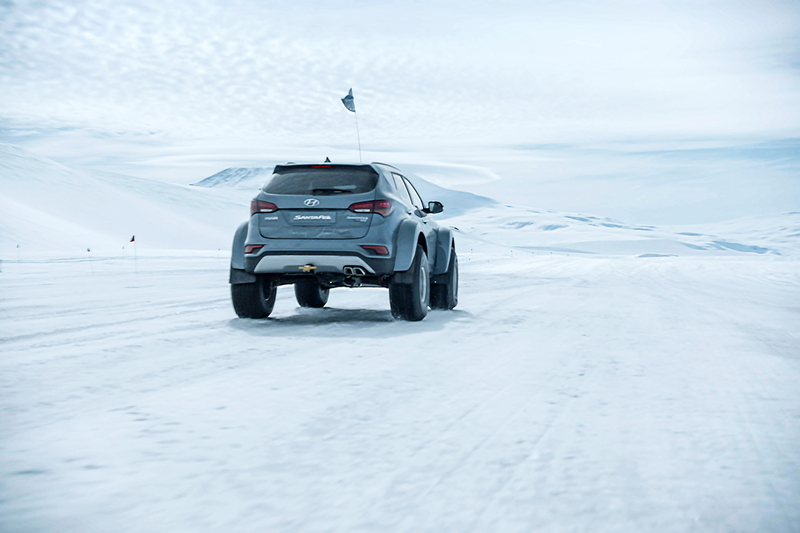 To prepare the Santa Fe for Bergel’s drive, giant, heavy-duty, low-pressure tyres were fitted to make it float over the icy surface, spreading its weight so gently that, in theory, it could run over someone’s hand without them feeling it. Accommodating the inflated rubber meant the car’s body had to be raised using new sub-frames and suspension, while gears were also fitted inside the hubs to cope with the different forces and the need to turn more slowly. 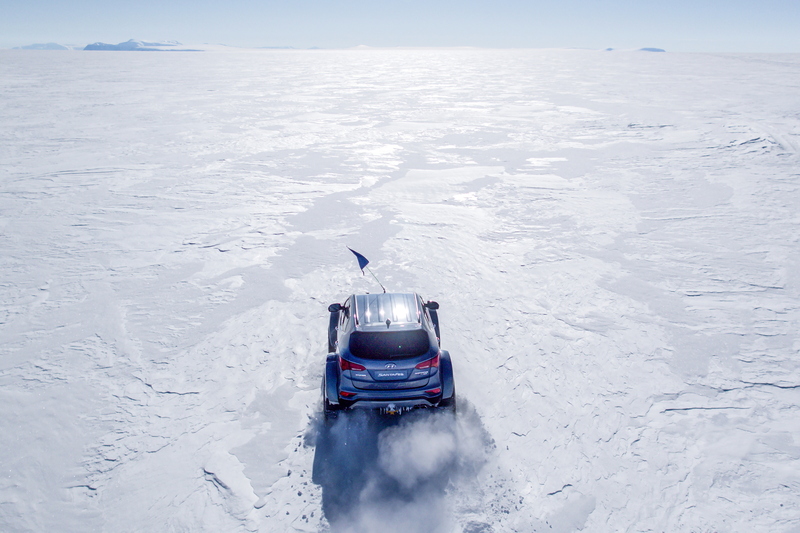 Setting off through the Drake Icefall and Patriot Hills, the team of four vehicles – the Santa Fe and three support trucks – took three days to cross a featureless landscape studded with sastrugi ice structures, delicately picking their way around crevasse fields they had been warned about. In temperatures as low as minus 28 degrees Celsius, the Santa Fe-led convoy kept moving, driving up to 20 hours a day (at an average of just 27kph), refuelling at aviation fuel dumps along the perilous route. Crossing the Leverett Glacier to the Traverse, they passed the Trans-Antarctic Mountains and then skirted the smoking Mount Erebus volcano, which Shackleton had been the first man to climb in 1908. 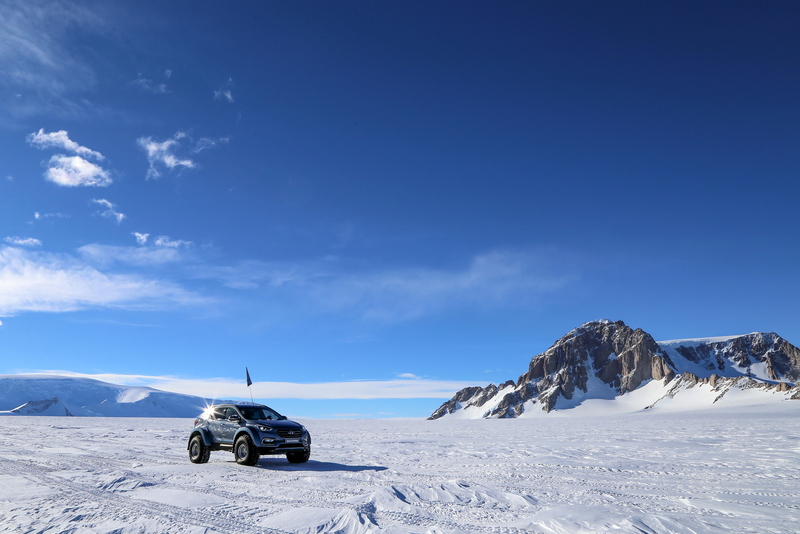 From here the expedition broke new ground as they drove onto the Ross Ice Shelf. 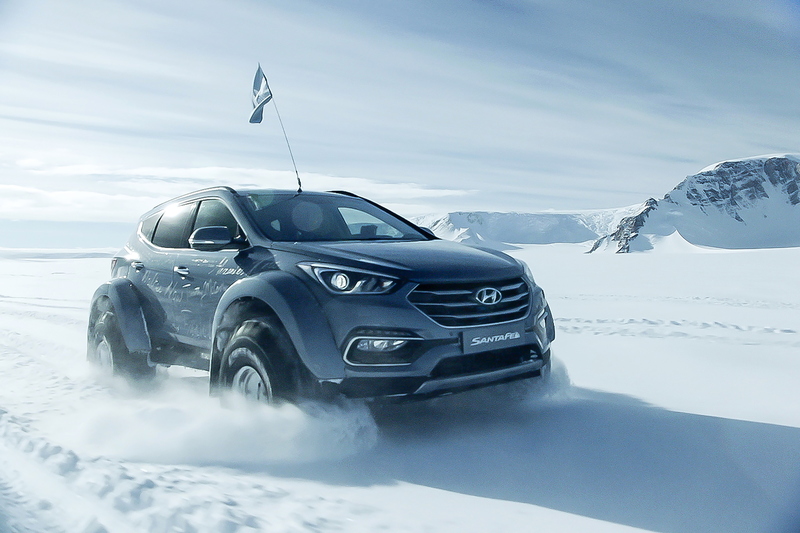 This glacier, hundreds of feet deep, lies beyond the continental land mass – and the Hyundai became the first wheeled passenger vehicle to drive across its unique hazards. Laced with deep fissures (potentially unseen until the moment that a car tips over into the abyss) the threat of the Shelf forced the team to tie their vehicles together. It was a precaution that paid off spectacularly. “We’d been briefed with up-to-date satellite imagery of where the crevasses were in relation to our GPS route but it was still a worry,” says Bergel. 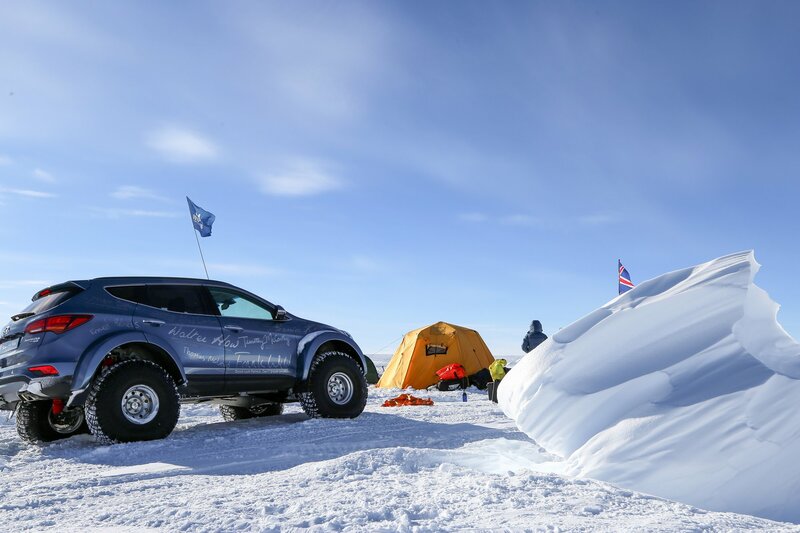 “On the crevasse field near McMurdo, we had to drive very carefully and suddenly there was a ‘vroomph’ and a judder.” One of the support vehicles had fallen into a crevasse. “The other vehicles, including the Hyundai, quickly dragged the truck out of danger, but it was a big relief,” Shackleton’s great grandson explains. 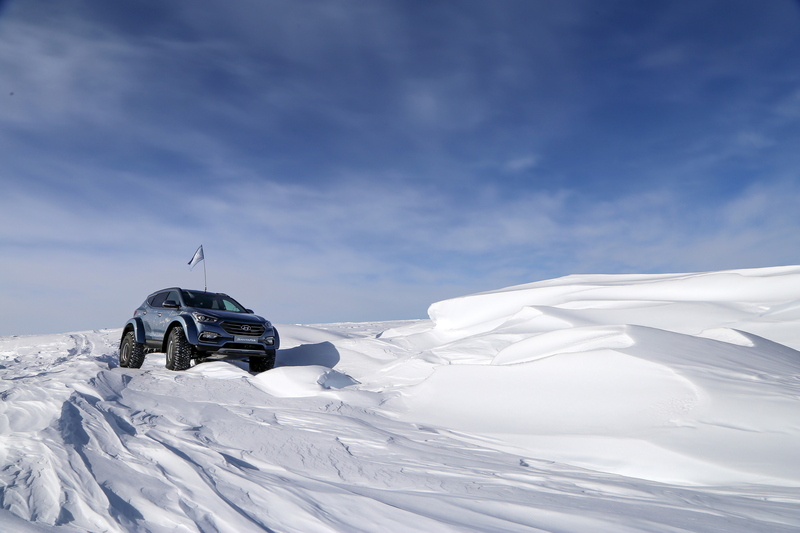 While the terrain provided the Santa Fe with its toughest challenge, for the drivers the greatest tests were the whiteouts, where visibility dropped to just a few metres and tiredness from long days on the ice took its toll. 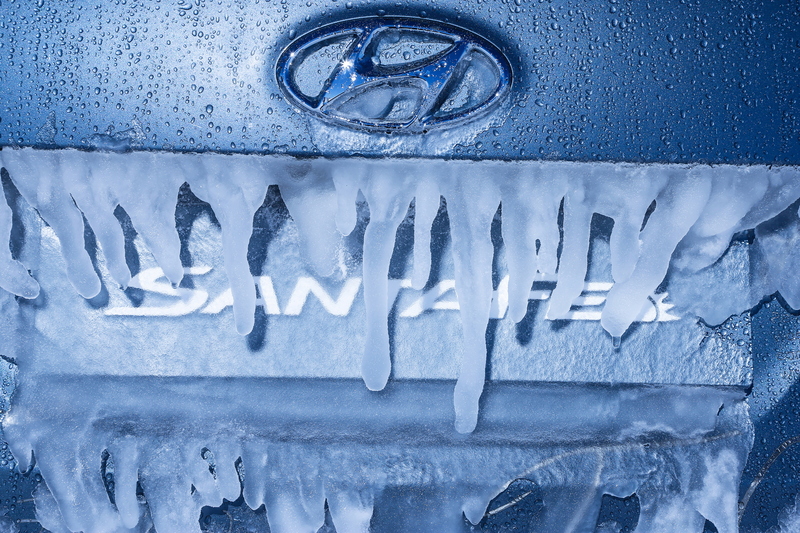 After nearly 5,800km of tortuous ice driving though, the Hyundai Santa Fe made it back to base. Mission accomplished. “From previous experience, we were expecting more trouble,” admits Jónsson. 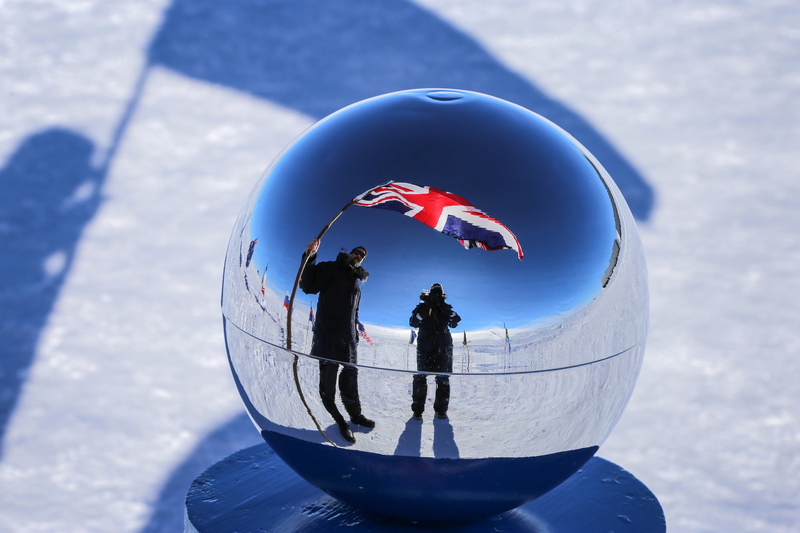 “It was a really good team, a very good bunch of people and the expedition was exceptionally well prepared. Do that and you prevent the drama. The longest repair stop we had was 45 minutes because of a loose bolt! Does ‘Disco 5’ deliver the perfect blend of luxury and off-road ability?